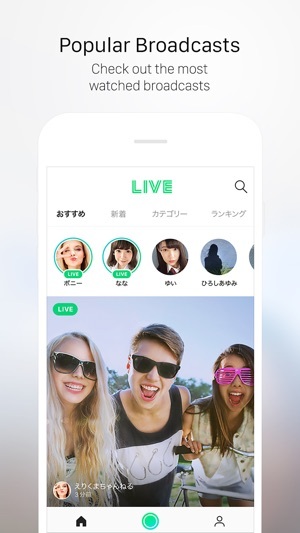 Enjoy your "LIVE" by using the live broadcast app "LINE LIVE"! 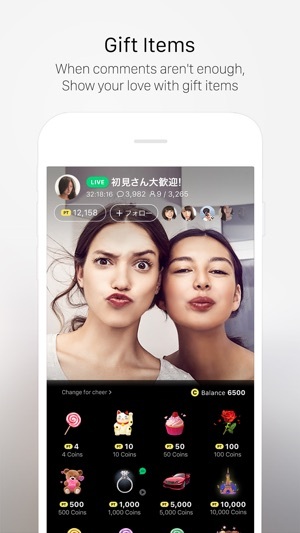 You can live broadcast yourself and also view other live broadcasts on "LINE LIVE". 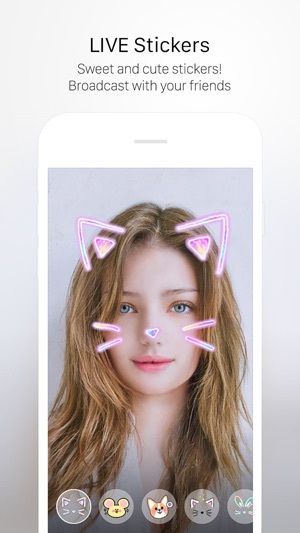 You can produce your own live broadcast by using face stickers, called "LIVE Stickers" and elegant "Filters". You can always customize your "LIVE Stickers" and "Filters", whenever you want. Receive lots of cheer items from your viewers and climb to the top of the channel ranking! Go for the top and attract lots of fans by broadcasting live! 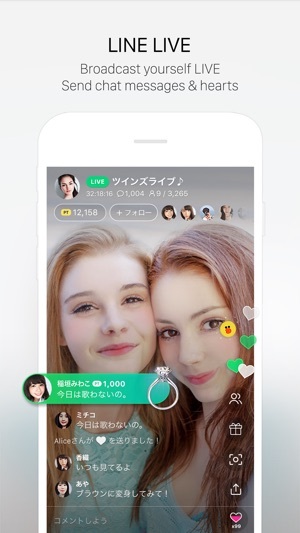 Viewers can participate in the live broadcast by sending "Comments" and "Hearts" on live. You can send interesting cheer items and display your feelings whenever you like. By sending many cheer items you can get a place in the "Fan Ranking", which will make it more likely to get noticed by the broadcaster. You can check out the latest and most watched broadcasts. Let's find your favorite and special one by searching broadcasts and channels. Never miss a live broadcast by receiving notification alerts from your followed channel.